Foster a love of reading and help your child get ready for kindergarten. Your child will enjoy the illustrated stories and activities, which are related to his or her body, growing and changing, and how to be healthy and strong. You will appreciate the engaging language, math, and alphabet card activities that teach basic reading and math readiness skills. Three colorful storybooks: My Body, I Grow and Change, and Healthy and Strong. Your child can read the story aloud or listen to you read the story to him or her. The interesting topics and illustrations motivate children to read. Rhymes and chants to help your child learn new vocabulary Theme-based alphabet cards with games. The flashcards can be cut and sorted to play fun matching games with your child. Hands-on activities further help your child learn letters and their sounds. Foster a love of reading and help your child get ready for kindergarten. Your child will enjoy the illustrated stories and activities, which are related to his or her body, growing and changing, and how to be healthy and strong. You will appreciate the engaging language, math, and alphabet card activities that teach basic reading and math readiness skills. Foster a love of reading and help your child get ready for kindergarten. 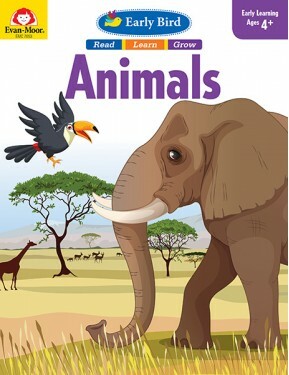 Your child will enjoy the illustrated stories and activities, which are related to his or her body, growing and changing, and how to be healthy and strong. 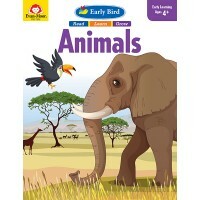 Get PreK students ready to read and write with Early Bird: Body. Shop for Evan-Moorâ€™s Early Bird series today! <table align="left" border="0" cellpadding="0" cellspacing="15"> <tbody> <tr> ..